So when you’re delivering a presentation or preparing for a media interview, be sure to practice out loud and replace those tongue twisters to improve your communication skills. You have many words to choose from with the same meaning. More than a mangled language? But it’s a different story when you’re communicating with an individual or an audience comprised of people who speak a different language. Words have different meanings. And the gestures that you feel are perfectly acceptable may be considered offensive. What works in one culture doesn’t work in another. America is a nation of immigrants so we are accustomed to hearing many languages and accents. We’re often in awe of visitors who can speak not one, but two or three languages. On the other hand, non-English language speakers often feel self-conscious because they don’t always grasp the meaning of the words we use and that we don’t intend our gestures to be offensive. 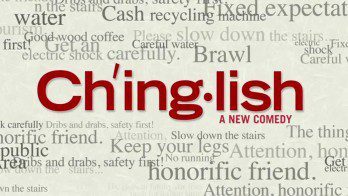 The play Chinglish, which ran on Broadway this winter, was a hilarious take on the difficulties an American businessman experienced when visiting China, hoping to do some business. His Chinese interpreters constantly misinterpret what he is saying, as when one of his interpreters announces to a Chinese official, “We despise the coastal cities of Shanghai and Beijing.” Another example was when he said, “I love my work” which when translated became, “He sleeps in his office.” Both got a big laugh on stage, but could be disastrous in real life. World leaders at a global conference have a translator at their side at all times. They want to be sure that the audience they are addressing understands the meaning of the words they use. If you work for a global company, have a foreign national in the company review your presentation for words or phrases that would have an entirely different meaning to your audience. Consult a foreign language dictionary for the precise words that communicate your messages. A great tool is Google Translate that will translate phrases from one language to another. If you would like to open your presentation with a greeting in the native tongue of your audience, Google will find the words for you. It’s a nice touch that your audience will appreciate. For example, Google translates “Good morning. I’m so pleased to be here,” to “Buenos días. Estoy muy contento de estar aquí” in Spanish. Be sure you practice first with someone who speaks the language. Speak slowly and clearly. If you tend to speak rapidly, slow it down. Practice with a coach or trainer who can point out where to insert pauses and gestures for emphasis and understanding. Don’t shout. You’ve probably done it yourself. You sense someone isn’t understanding, so you talk louder and LOUDER. Speak in your normal tone of voice. Avoid slang. Phrases like “Our products sell like hot cakes,” or “Give me a hand” could be misunderstood and you may actually get a handshake! Paraphrase. Make your points and then repeat them, using other words to describe a topic that may be particularly difficult to understand. Use body language. Pictures do speak louder than words. Illustrate your key points by using body language. Remember to smile where appropriate. Make eye contact with the person you’re speaking to or with members of your audience. Research cultural/gender norms for eye contact as what would be considered appropriate here would be thought of as rude or an affront to foreigners. We’d welcome learning about your miscommunications when meeting or speaking with people who have English as a second language. Just leave a comment in the box below this post. Hi This is an amazing article about communicating with people who speak a different language. I like it. I am an voice over actor. But I am new to this job. I don’t know yet what is this proper job. Thanks for providing this one part of that job.